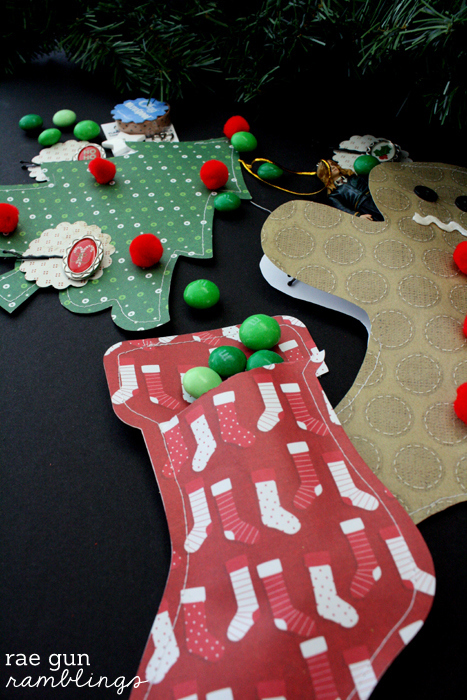 The following post is part of Jo-Ann Fabric and Craft stores Paper Crafted Christmas campaign. I received compensation for this post but all opinions are 100% my own and I’m excited to share! My name is Marissa and I’m a craft supply addict. I buy all sorts of craft supplies and even though I’ve never totally caught the scrap booking bug I have a crazy stash of scrap booking paper. It’s because Jo-Ann Fabric and Crafts always has it on sale seriously it’s totally not my fault. 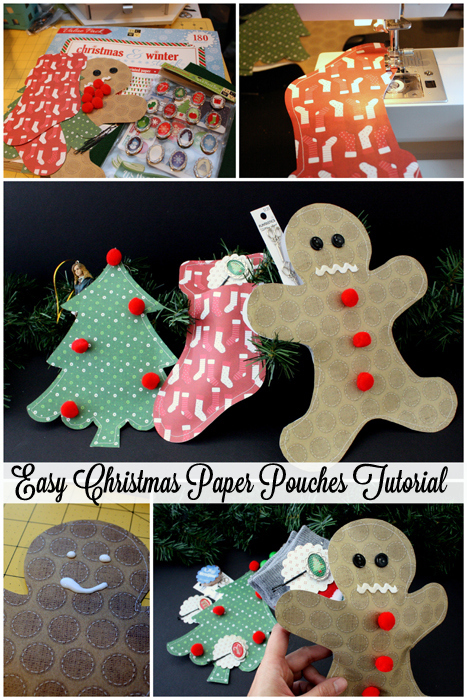 But this time of year I’m always looking for great gift and wrapping ideas like these cute Christmas paper pouches. Some times I just want to give a gift card but want to make it a little more special and other times a little trinket or handful of treats just seems like the right gift. 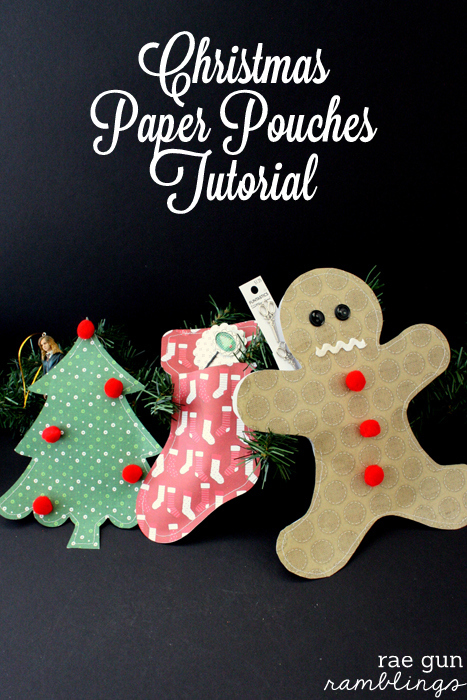 And if you want to make your own here’s my super easy Christmas paper pouches tutorial. Cut your shapes out. I did a simple search on Cricut Craft Room and cut the shapes on my Cricut but it’s just as easy to freehand or download coloring pages for basic shapes. Make sure if you have a shape that isn’t symmetrical on the left and right (like the stocking) to cut a front and back piece. Aline your pieces and with a long stitch (I used 3.5) sew around the edge connecting the two. Leave a generous opening to fit your gifts or treats inside. Your friends and family will have a blast ripping into these puppies and they are so cute and fun to give. Be sure to check back in next week when I’ll be sharing how to make those cute festive hair pins. Also the folks from Jo-Ann Fabric and Crafts have generously shared a coupon for 50% off one regular priced item. Happy Crafting! These are so fun!! What a cute idea!! Thanks for sharing! These are stinking adorable! How fun! So cute! 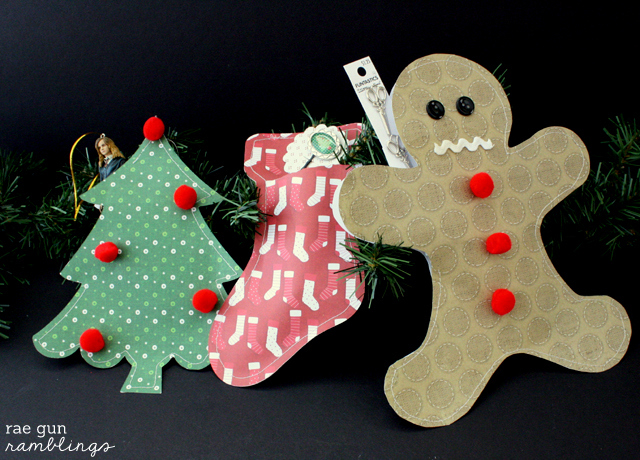 It really is the perfect way to use my scrapbook paper stash from my days of scrapbooking. 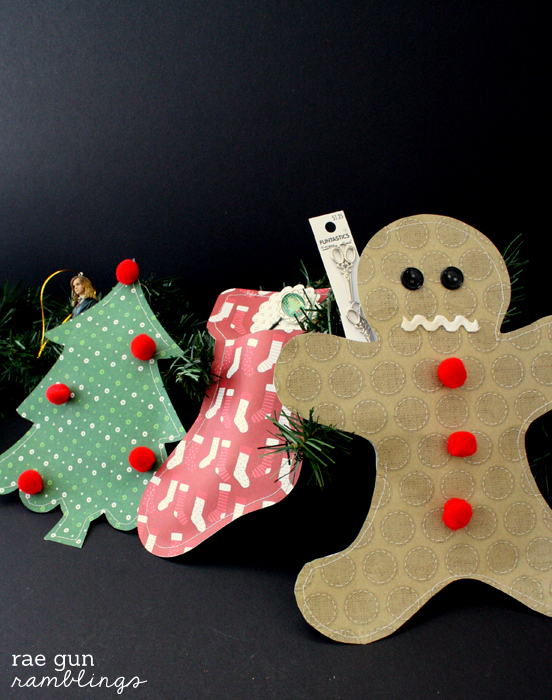 And of course, I would “need” to buy more paper cause it just gets cuter every year…. Thanks for sharing such a fun idea! Pinned! I think I’ll try doing some every time I need a little gift I’m such a scrap book paper hoarder it’s piling up! These are so darling! The perfect touch for Christmas! I love using my sewing machine for projects like this. My kids will love these! Those are so cute! What fun little packages! Simple, and cute! These paper pouches would make perfect notes for around the house, for any occasion! 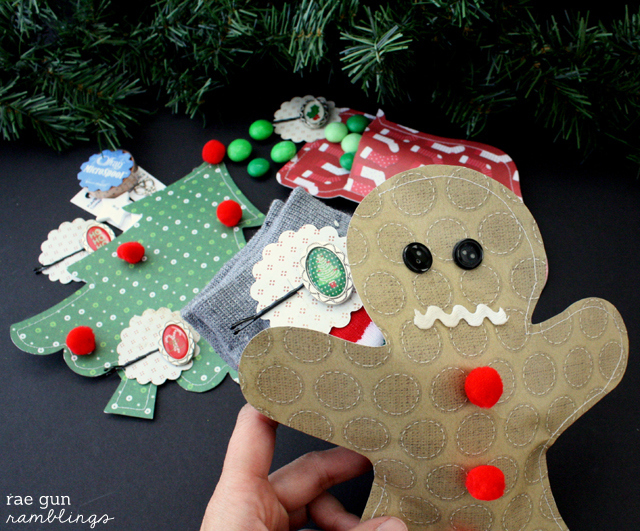 That is so cute and such a fun holiday idea!